I am sharing some tasty desserts that we did recently. 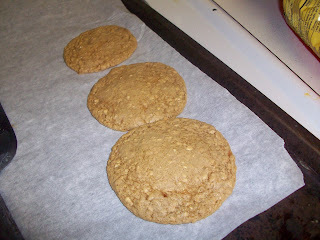 I did the Stir-N-Drop cookies again, except this time I added Kraft Caramel Bits. My husband had a chicken baking in the oven, so I used the top rack to make cookies. Baking for only eight minutes resulted in a slightly undercooked and gooey cooky (o.k. not necessarily a bad thing, gooey = still good). I had to cook them a little longer with the chicken in the oven. except he just used apples. I was glad that I was home this time to enjoy them. Stopping by from the blog hop. I really love the name of your blog and the recipes don't look bad either But I am on a diet. That's ok because I am still following you and would appreciate a follow back!! 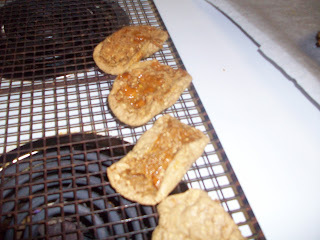 These look yummy, I bought a pack of the Kraft caramel bits, they look like they would be yummy in a cookie. 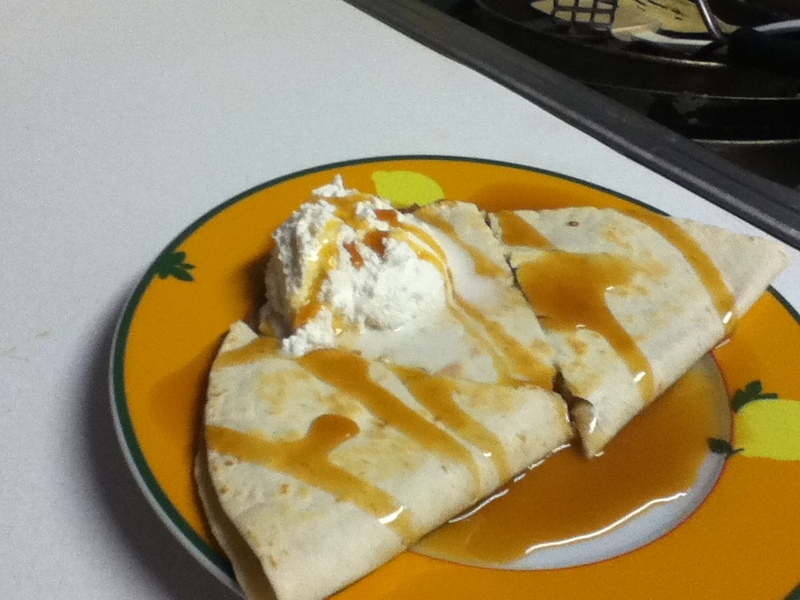 That dessert quesadilla looks delicious!! The cookies sound delicious....If you haven't yet, Please Follow back Parga's Junkyard Blogand on facebook as well as on my new networking site Like it Ladder Thanks!